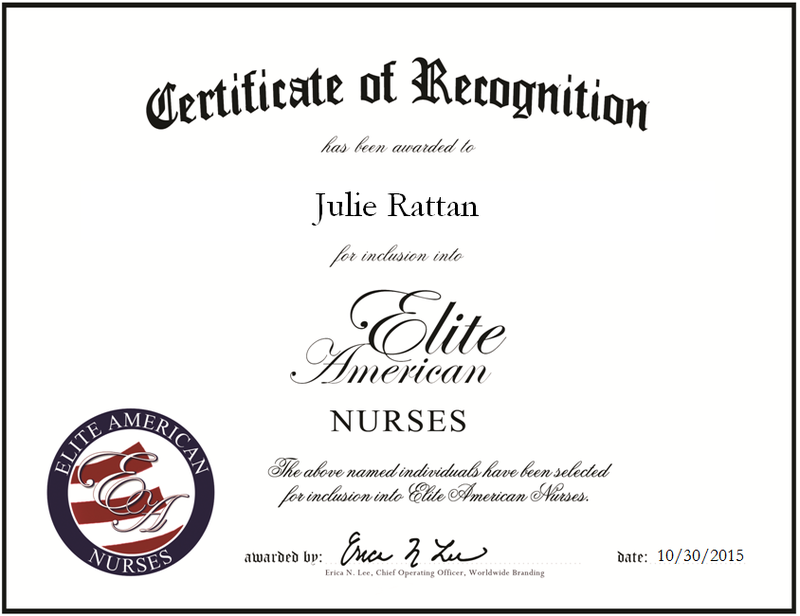 McAlester, Oklahoma, October 30, 2015, Julie Rattan, Registered Nurse of Carl Albert Community Mental Health Center, has been recognized by Elite American Nurses, for dedication, achievement and leadership in nursing. Ms. Rattan has 24 years of professional experience, with eight years as a registered nurse of Carl Albert Community Mental Health Center. Throughout her career, she has set herself apart through her work in mental health care, intensive care, neurological intensive care, and renal transplants. Ms. Rattan was diagnosed as a diabetic when she was 11. She recalls watching the nurses taking care of her, which encouraged her to become a nurse. She loves her job and especially loves taking care of others. Ms. Rattan received a Bachelor of Science in Nursing from the University of Texas in 1980. In her spare time, she enjoys watching her twin boys run cross country and wrestle. This entry was posted in Registered Nurse and tagged intensive care, mental healh, mental wellness, neurological intensive care, registered nurse, renal transplants. Bookmark the permalink.